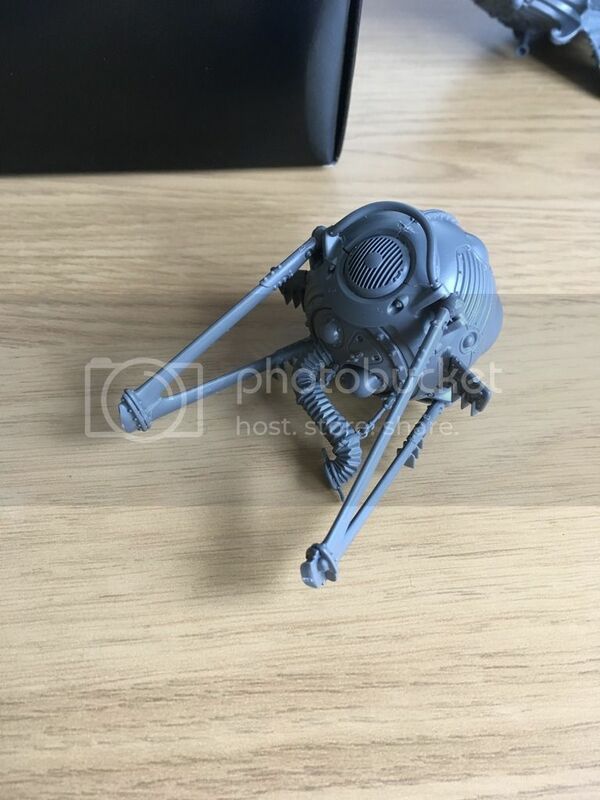 I wanna share details of My Overlords, the coolest models GW has made in years. Right now I have an Admiral, Khemist, Navigator, Endrinmaster, 20 Arkanaught Company fighters, a Frigate and an Ironclad. A decent minimum sized force, I have no idea what skyport they'll belong to. 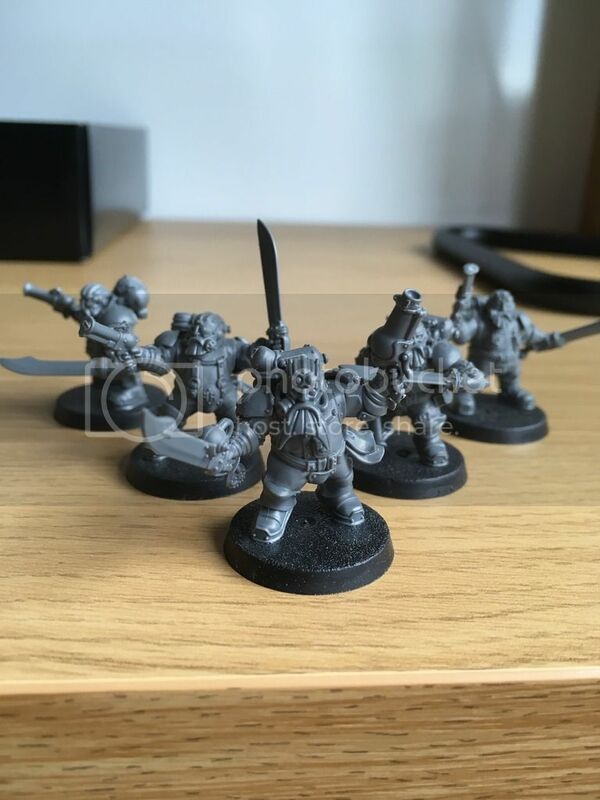 Back in the day I had a red and white coloured dwarf army (now long departed via eBay ), so I'm tempted to go with Barak Thryng as a tribute to them. But the temptation to make my own is too strong. Even though the Volley pistol is a better choice, I went with the flare gun with the Captain for fluff reasons. He can send signals with a flare gun. Stay tuned for more very soon. Such freaking cool models! Have you decided on what skyport you're going to play as? Very cool models. I can't wait go see some paint on these bad boys. 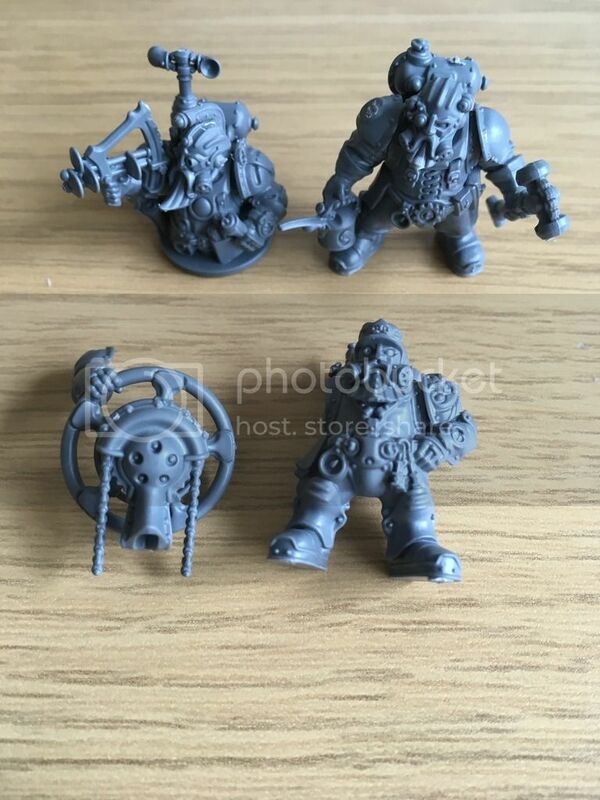 The Kharadron range is one of the best that GW has put out in a long time. Very, very cool. Can't wait to see what you do with these guys! 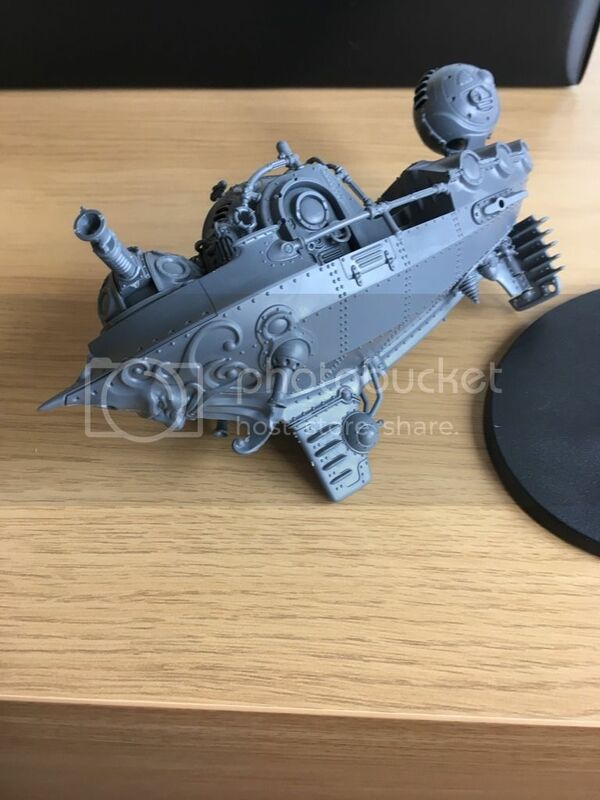 I am definitely in the minority here but I am not a fan of the new Kharadron range. 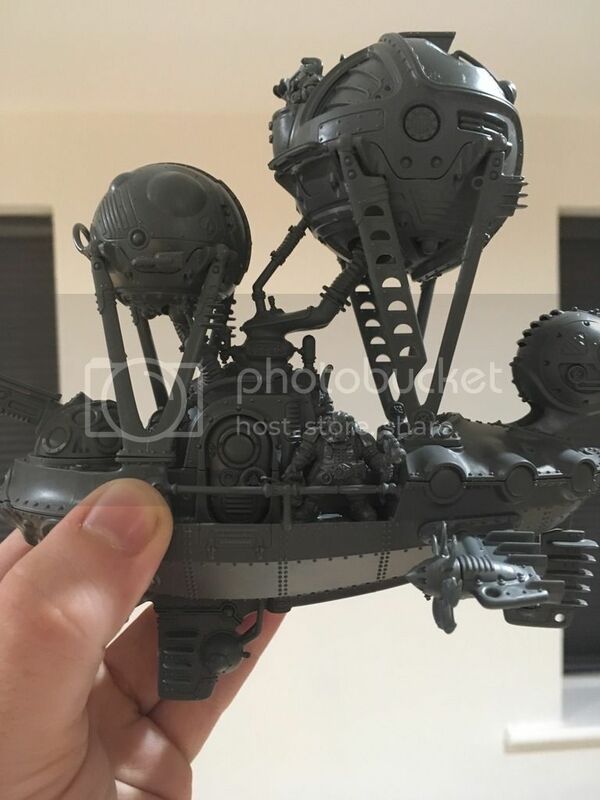 The models look like they are the usual quality produced by GW but I am not a fan of steam punk in general. I am still looking forward to what you do with them though. Carry on at this rate and you will have to consider changing your username.fifteen models and no reported calamities. I hope your good fortune continues. 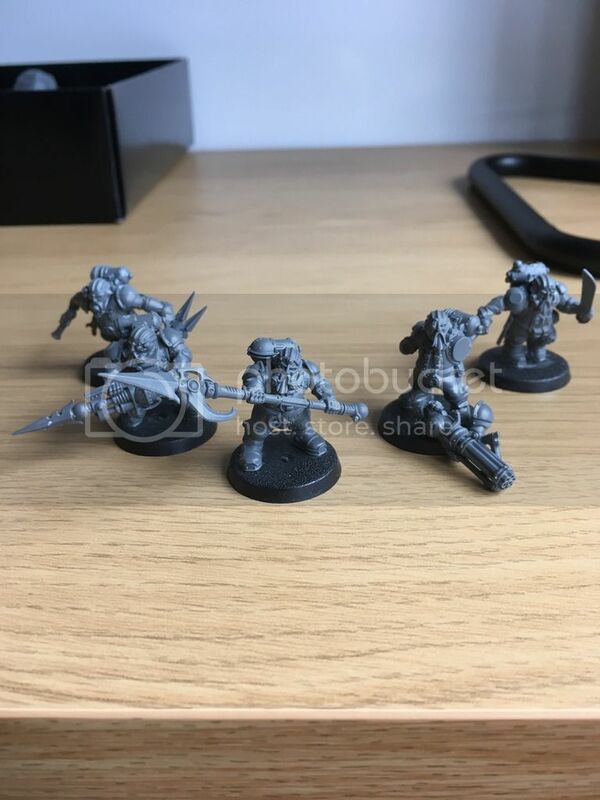 When I first saw these models via a friend's text message I was so blown away I literally gasped. The last time I was waiting this anxiously for GW models it was the impending release of Mordheim. That's how significant they are to me. You might have spoken too soon Alienscar. My ship has a gap in the hull. Filling it with green stuff might be tricky. I don't trust myself to not ruin the detail. Oh, and I think I was wrong to stick those carbines in before painting. These two issues might come back to haunt me later. But...neither are a calamity just yet. Yet. Question. Those new ball joint flying bases. 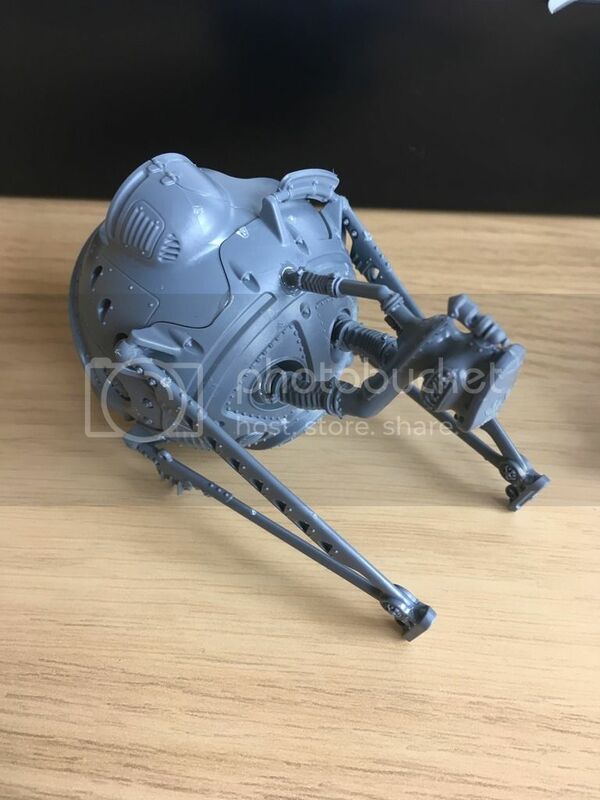 Once you stick the model on them, can you take it off? 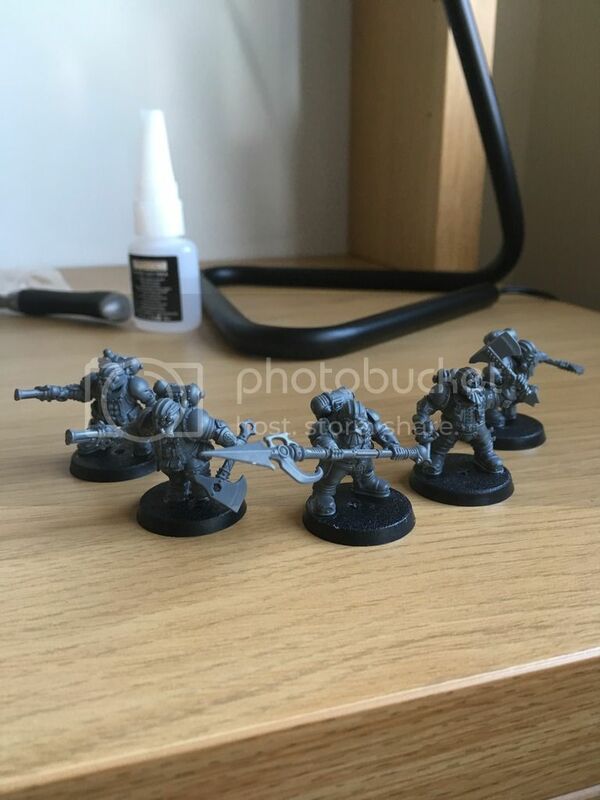 If they're the same as the dark eldar raider's, then it should be no problem. And as a treat, here's a not so great pic of the entire fleet in it's current...entirety. 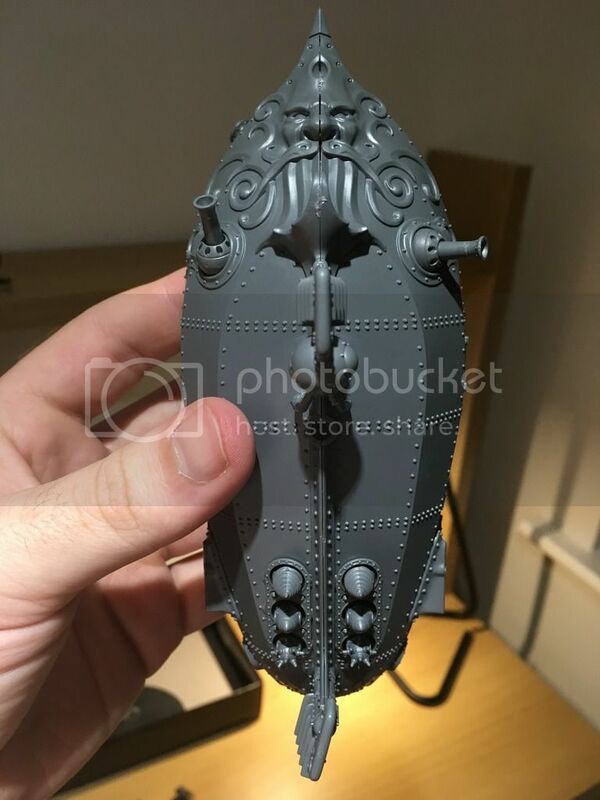 Tomorrow I'll be building the Ironclad and holy amphetamine parrot does this thing look massive. 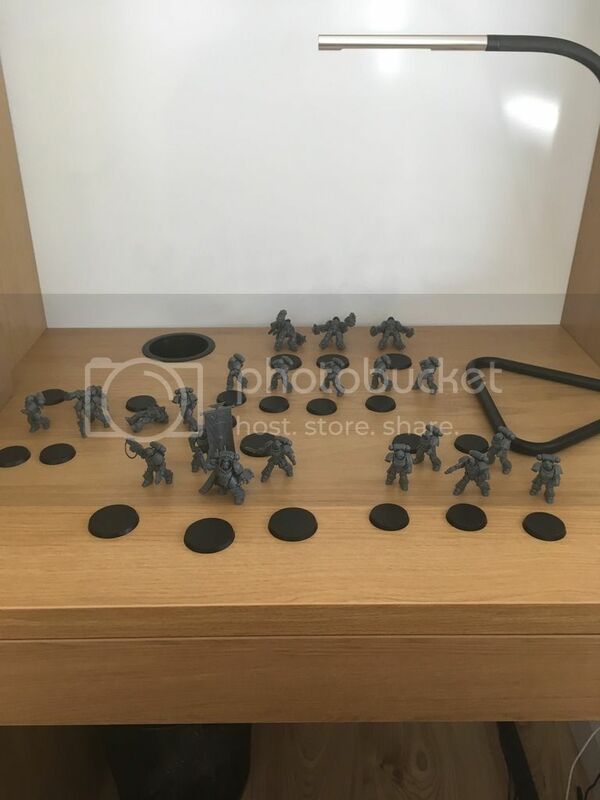 Then next week I hope to start painting them. I'm sure I'll have a scheme worked out by then. One small issue...it turns out that I have actually glued the flying base of my Frigate on backwards. But it's not a calamity because it now means that the ship angles up, making it look more dramatic! Having said that, if I can swap it around or replace it I probably will. Wow; They look really nice. 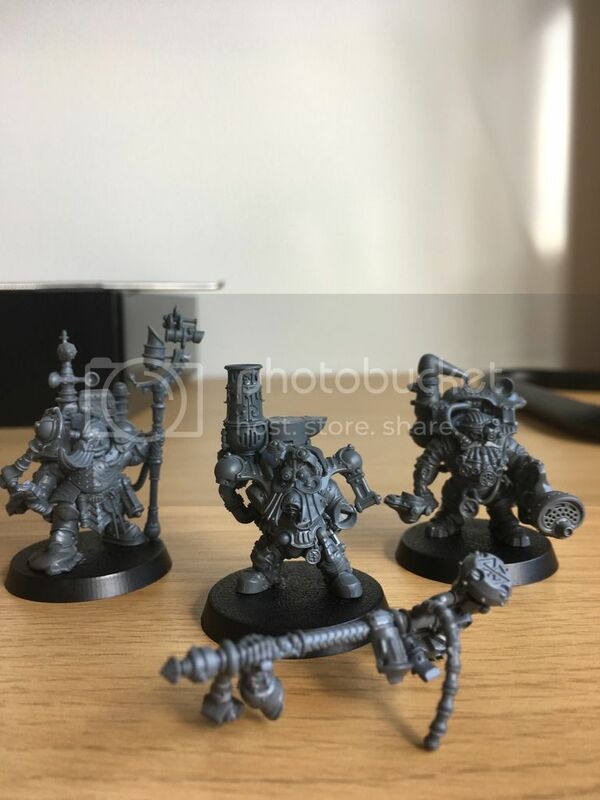 Can't afford another hobby, so I won't be going into AoS. However If I did, these boys would be my choice of army. You've done a great job assembling them, mate. Looking forward to living vicariously through you to enjoy the Overlords of Aos. I've not yet attached them to their bases because I'm thinking of doing something special with them. My friend is going to town with the death guards bases (rocks and bubbling goo) so I feel obliged to put the same amount of effort into mine. Their coming along nicely. Won't be receiving mine till Wednesday, so your getting a head start on me mate. What chapter are you painting them? Ah, now that is the question! Like my Overlords, I'm struggling to pick a chapter to go with, but two keep coming back to me; the Raptors...and the Rainbow Warriors. So maybe one of them. Maybe. Marines that size would look imposing as Raptors, Captain. Big honk'n mean green fighting machines! That is true, but I am going to be fighting death guard most of the time, who are also green. Not much of a contrast. Unless my friend paints them in that bone white scheme you sometimes see them in. My gut says Rainbow Warriors...I don't know why but they just seem cool to me. Even with a name like that. I am thinking of painting the Overlords green though. None of the named sky ports seem to use it. But is the colour of their eye pieces. So it's only a thought at the moment. With rainbow in their name you know they learned to fight earlier than most. What is their fluff. Maybe go with the background that appeals to you. The Rainbow Warriors are vague enough for me to fill in the gaps. There's also the Death Strike chapter, which is very similar. I'll be honest, it's that be-atching chapter symbol I'm most interested in. Yes, I see. It's very striking isn't it. 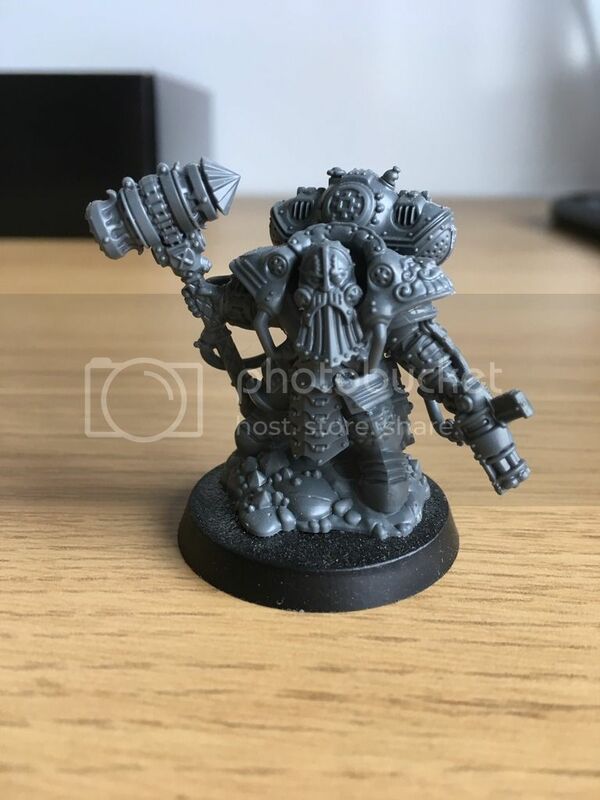 Do they have transfers for of that badge or are you going to have to paint it on eeeeevery model? As far as I know, there are no transfers for either of these chapters. So I will have to paint that symbol by hand. It'll be a hell of a test of my painting skill. Also, I'm starting to formulate a scheme for my Overlords. Space age silver and grey. But is it suitable? Maybe I should be painting them brassy antique colours. They are steam punk after all. Looking good so far Tangi. Glad to see you back on the boards with two awesome new factions. Love the new Dwarves... absolutely legendary. Also a big fan of the Primaris Marines. 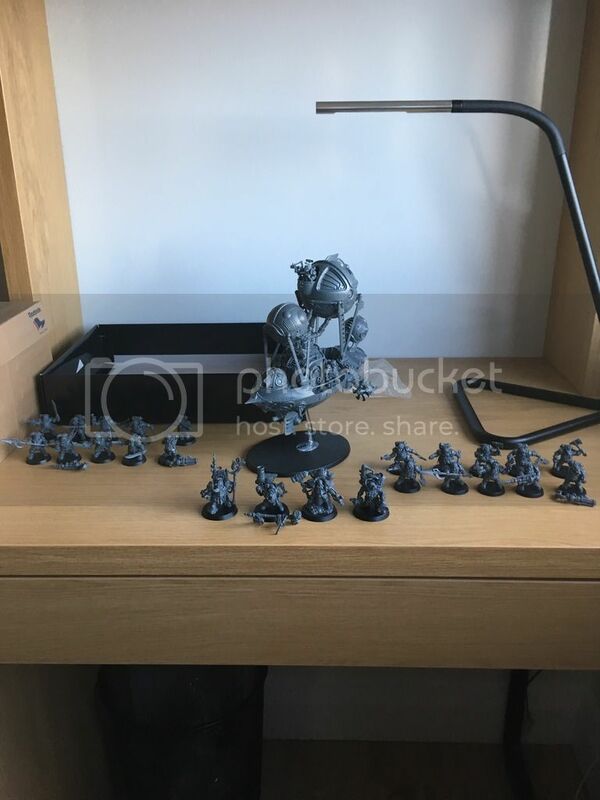 The scheme you mentioned with grey and silver sounds awesome for the Overlords. However I can highly recommend Balthasar Gold if you want a more classic steampunk look. 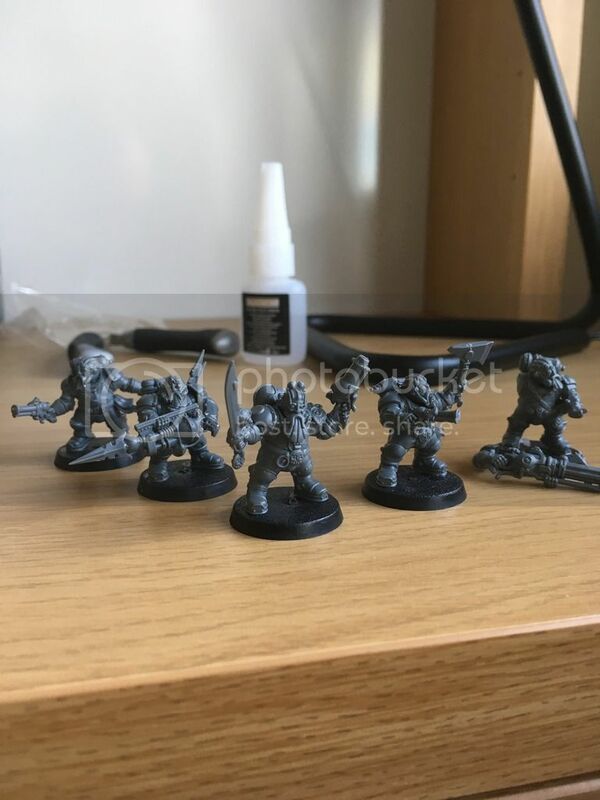 I used it extensivley on the World Eaters stuff I did.